Where Arkansas, sports, and culture collide. Editor’s note — This story originally was published in March 2015 by The Weekly Vista. It has been reprinted here with the author’s permission. 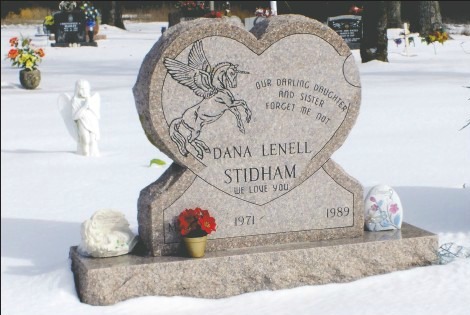 Dana Stidham would’ve turned 44 on March 8. 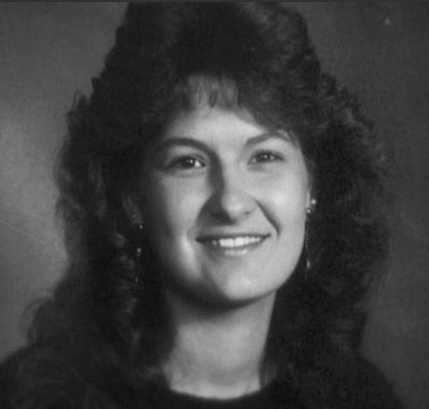 Instead she died at age 18, the victim of an unsolved murder that continues to haunt detectives more than two decades later. Stidham was last seen alive leaving Phillips Food Center (now Harps in Town Center) on July 25, 1989. Two months later, her remains were discovered in a creek bed in far eastern Bella Vista, near the Arkansas-Missouri border. Sydoriak partnered with Bella Vista detective Danny Varner to investigate Stidham’s murder. They worked the case for nearly 20 years. For every lead uncovered, the detectives always found themselves lacking sufficient evidence to make an arrest. 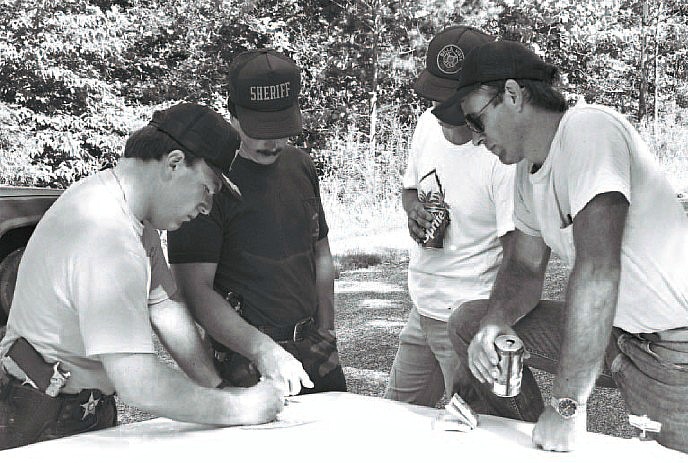 In 1998, Sydoriak and then-Benton County Sheriff Andy Lee told reporters that they believed they knew who killed Stidham. They just didn’t have enough evidence for an arrest. The evidence “pointed to one man,” they said, a former high school classmate of Stidham’s. Failed polygraphs, dubious alibis and other oddities further implicated the man. But it was all circumstantial evidence, Sydoriak said. In August 2013, Benton County Sheriff Kelley Cradduck announced that he wanted to take a “fresh look” at the Stidham case. He told reporters that his office was combing through old files and that they planned to digitize the items box-by-box. Sgt. Hunter Petray is currently overseeing Stidham’s case for the Criminal Investigation Division of the Benton County Sheriff’s Office. Tips can be reported anonymously to CID at 479-271-1009 or sent to the Vista at weeklyvista@nwadg.com or calling 479-855-3724. Dana was preparing to embark on the next stage of her life when she disappeared. She graduated from Gravette High School in June, and had moved to an apartment in Centerton with her brother, Larry, and a few friends. A well-known, popular girl, Dana was relatively petite. At 5-foot-2, she weighed just over 100 pounds. She had a dark complexion, with shoulder-length brown hair. Sydoriak remembers seeing her often at local dances. Georgia remembers a teen who loved “babies and old people.” Dana often babysat for young couples and was heavily involved with her family. She and her brother, Larry, were close, so much so that they often covered for each other at school. Dana was thinking about enrolling at the University of Arkansas. That was one reason she was back in Hiwasse on July 25, Georgia said. Dana needed to do a load of laundry and was contemplating moving back home to save money for school. 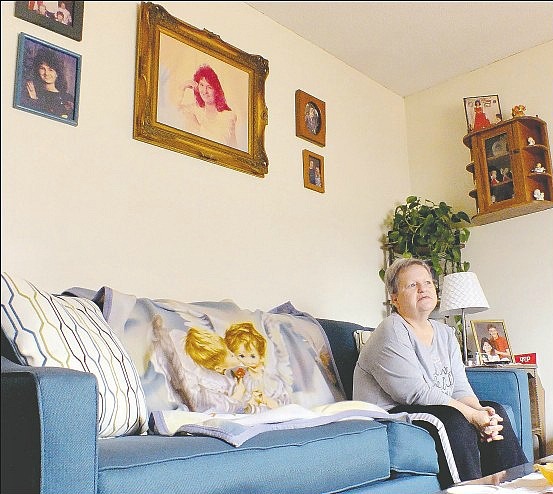 Dana’s father, Lawrence, was home while she did her laundry that day in 1989. Feeling ill, he asked Dana to fetch some medicine for him. She agreed to the errand, departing in the late afternoon for Phillips Food Store in Bella Vista. She was wearing white shorts, a white top with red lettering and red socks with white tennis shoes. After stopping for gas, Dana arrived at the store. She purchased Alka-Seltzer, dish-washing soap and sugar. A receipt found later by investigators listed her checkout time as 3:17 p.m.
Sydoriak said that at first he was perplexed that Dana didn’t just stop at the convenience store in Hiwasse, which was only a few blocks from Georgia and Larry’s home. He later discovered why Dana avoided it. “(The suspect) sat at the store a lot, because his parents owned it,” Sydoriak said. “He was there all the time.” They sold the store years ago. Dana had worked part-time at Phillips for about three years, and stopped to visit with a few friends inside the store. She also visited briefly with an older employee in the parking lot. Sydoriak said investigators interviewed a witness who was landscaping nearby. The witness said he saw Dana drive off, but wasn’t sure which way she went. Which direction Dana traveled after leaving Phillips was critical to establishing a time line, Sydoriak said. Later that evening, when Dana didn’t return home, her parents started to worry. They went out looking for her, and so did Larry when he got off work. 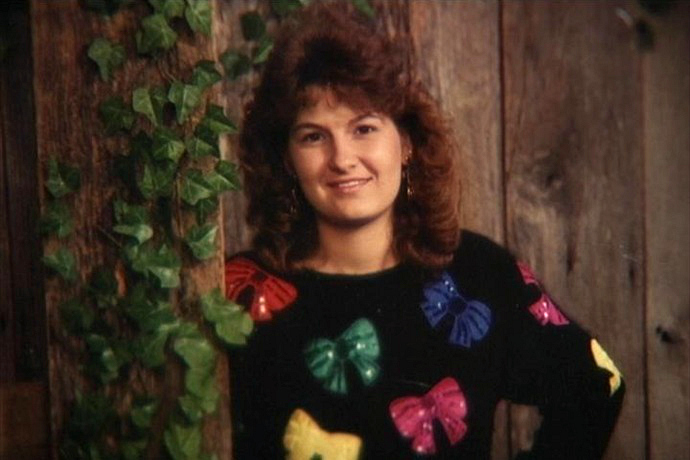 Dana’s parents contacted Varner, a family friend who went to high school with Georgia, to tell him Dana was missing. Varner worked at the the Bella Vista division of the Benton County Sheriff’s Office (which was the law enforcement agency for Bella Vista until Bella Vista became a city and formed the police department). Other officers joined the search as well. No one could find any trace of Dana. At about 9 p.m., a be-on-the-lookout was issued and broadcast by law enforcement agencies in the region. At 6:30 a.m. July 26, BVSO Sgt. Karen Myers was driving southbound down U.S. Highway 71 on her way to work. She was nearing Wellington Road, north of Town Center, when she noticed a vehicle on the side of the highway. After getting to Bella Vista and hearing the briefing about Dana’s disappearance, she decided to give the car another look. It was still there when Myers returned. After running the plates, authorities found the car belonged to Dana. Her 1984 gray Dodge Omni had been abandoned and was sitting in the southbound shoulder opposite Wellington Road. Investigators thoroughly examined the car, but it was only the first in a litany of frustrating clues. The keys were still in the ignition, the driver-side window was halfway down and the rear tire was slightly deflated, but still driveable. There was no sign of a struggle. Dana’s purse was missing. The driver’s seat also had been adjusted for a much taller person, indicating that Dana likely wasn’t the last person to operate the vehicle before it was abandoned. Further complicating the matter was that Dana’s family had been scouring the area for her all evening, and they had a plan in place if she was in trouble. Not long after investigators found Dana’s car, they found some of her laundry scattered near Eling Circle — 1,700 feet up Wellington from where the car was found. Authorities retained a private tracker and used a police-trained German shepherd to search the area. It was about that time that Varner decided to interview Dana’s high school classmate. “People had seen (the suspect) riding around that night at around 3 a.m.,” Sydoriak said. When questioned by Varner, the suspect told police he was out driving his dad’s pickup truck. The suspect added that a girlfriend would provide an alibi for him. But, Sydoriak said that girlfriend denied knowing the suspect’s whereabouts. The suspect selected another girlfriend to back him up, but her story fell apart as well, Sydoriak said. As July rolled into August, investigators were starting to think Dana’s disappearance pointed towards an abduction. She had a date waiting for her the night she disappeared. She also planned to pick up some boots from a friend in Missouri. But neither heard from her. Meanwhile, her clothes and other personal belongings remained untouched at her Centerton apartment. On Aug. 5, authorities got an important tip. A resident near Hanover Drive and Chaucer Drive alerted investigators after their dog brought a purse home after being let out to run. The purse turned out to be Dana’s denim purse. Investigators swarmed the area, finding Dana’s checkbook, driver’s license and photos strewn in the weeds. Because the items were discovered along the roadside, investigators suspected that they were thrown from a moving car. That area is little more than a mile north of where Dana’s car was parked. Sheriff Lee gave reporters a grim prognosis. Investigators began scouring Bella Vista for more evidence. They searched a former gravel pit in Missouri that is just north of Hanover Drive, Lake Norwood (which is directly behind the grocery store where Dana worked) and a remote party spot near Newburn Drive. By mid-August, authorities were offering a $5,000 reward for information leading to Dana’s whereabouts. Meanwhile, Dana’s parents told reporters that they thought she was alive and well nearby. The grieving parents waited by the phone day and night, hoping for good news, refusing to believe Dana had run away. Summer turned to fall; the investigation languished. Authorities had little evidence to move forward. Then, in mid-September, a local hunter discovered Dana’s remains in a seasonal creek bed about 100 feet from Beal Lane, a cul-de-sac off Newburn Drive. The remains were skeletal, but approximately 90 percent complete. Her skull was found intact, along with most of the jaw. Her bones were scattered about 50 feet along the creek. Investigators discovered a T-shirt with duct tape on it and pieces of jewelry. They found the clothes she was wearing the day she disappeared buried nearby. There was evidence of a nick on Dana’s left shoulder blade, but any conclusive determination of death hinged on her missing sternum. Dana’s parents were distraught when they heard the news. The pain of finding Dana dead was amplified by their belief that she was still alive somewhere nearby. 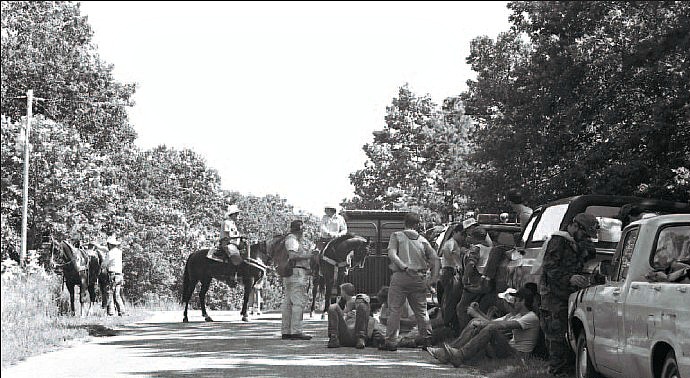 Despite little progress, Dana’s case remained open during the early 1990s. Still believing Dana’s murder to be solvable, Sydoriak and Varner in 1996 tracked down the truck the primary suspect was driving the night Dana vanished. They sent the vehicle to a lab in Texas for testing. From there the results were forwarded to the Arkansas Crime Laboratory in Little Rock. Reports indicate both labs found the hair samples closely matched Dana’s. The detectives sought more evidence as the year wound down, asking the suspect for additional hair samples in September 1996. His attorney, Brad Karren — now a circuit judge in Benton County — objected on the grounds that there was lack of probable cause and that the detectives were out of their jurisdiction. Karren added that no evidence linked his client to the crime. Thanks to a court order signed by Terry Crabtree, then-Benton County chancery judge, Sydoriak and Varner were able to obtain more samples from the suspect. Despite the samples and other circumstantial evidence, then-Benton County Prosecutor Brad Butler declined to move forward. That was the last major breakthrough in Dana’s case. Still, investigators who stuck with the case over the last two decades believe they’ve got the right suspect. When Sydoriak and Lee met with the reporters in 1998, they divulged more oddities about the primary suspect, including that he kept a photo of Dana in his wallet years after her murder, stole the grave marker from her headstone after she was buried and that a former girlfriend said he visited the cemetery at midnight and wept. He joined the Navy soon after Dana disappeared. That also was peculiar, Sydoriak said, because investigators knew he’d been thwarting pressure from recruiters all year. Georgia, who has given several interviews in the decades since her daughter’s murder, says she remains hopeful that her daughter’s killer will brought to justice. Her husband, Lawrence, passed away in 1999. “I say a prayer each night that this will be the last day for me not to know what happened to Dana,” Georgia said in 2003. On what would’ve been her 44th birthday, Georgia and Larry took balloons to her grave at Mt. Pleasant Cemetery. “We just spent some time with her,” Georgia said. While Cradduck vowed to pursue the case, the year and a half that’s since passed has made Georgia doubtful of getting a resolution from Benton County’s criminal investigators. Georgia, who said she sometimes feels like a failure because she wasn’t able to keep Dana safe, hopes to see an arrest before she dies. “But I want them to arrest the right person, I don’t want them to go out there and (make an arrest) just to get us off their back,” she said. This entry was posted in Arkansas, Culture and tagged 1989, Andy Lee, Arkansas, Arkansas unsolved, Bella Vista, Benton County, Benton County Sheriff's Office, cold case, Dana Stidham, Gravette, Gravette High School, Harps, Hiwasse, Kelley Cradduck, murder, mystery. Bookmark the permalink. Did you know Dana’s brother passed away this past July. That leaves my aunt with no one at home now? I’m their first cousin. I’m to young to have been around when the atrocity happened, but I’ve prayed for your family since I was 7. My Mom told me about it because we were living in Bella Vista and I was interested in Unsolved Forensics thanks to tv. Still praying. That is so sad. My heart breaks for her family. The suspect still keeps a picture in his wallet. That was in 2012. Creeps me out. maybe don’t tell the world your aunt is home alone. I went to school with Georgie and Lawrence both. We were friends. I pray for her. I didn’t know her son passed. I never received any information on this. Will keep praying.